Why women are underrepresented in certain careers has been a pertinent question for career researchers and scholars interested in gender equality issues for decades. Researchers have been particularly interested in the lack of women in science, engineering, and technology careers, as well as those with high mathematics content. Throughout this book, the authors have highlighted why gendered occupational segregation is an issue for both gender equality and essential in addressing the skills shortage in some occupations. They have aimed to give readers an overview of key areas to consider in assessing gendered occupational segregation. 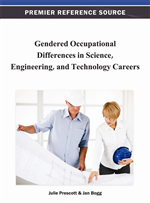 Importantly, the authors wanted to highlight the multifaceted variables involved in perpetuating and reinforcing gendered occupational segregation, especially for women in science, engineering, and technology careers. They have demonstrated how a multiplicity of interacting influences shape women’s careers. In particular, this book has emphasised the role of psychological, organizational, and social factors in understanding career roles and trajectories. Many books have looked at women’s underrepresentation in the ICT and SET industries; however, this book has taken into account not only these male dominated industries but has also included other male dominated industries such as construction, and the new industry of computer games, in order to understand the reasons behind this underrepresentation. Gendered occupational segregation is an important issue. As discussed in chapter one, not only does it appear to be resilient, but has numerous negative consequences, especially for women’s careers. Perhaps the most prominent and persistent of these consequences being the gender pay gap. Recent UK legislation – the Equality Act 2010 hopes to help reduce the persistent gender pay gap through the illegality of salary secrets. This is a specific issue in the SET sector (i.e. Tattersall, Keogh, and Richardson, 2007). Recent figures from both the UK and the USA, report that the gendered pay gap remains. The UK Office for National Statistics (ONS, 2011), found women earned less than men did, in the majority of male or female dominated occupations. Recent data from the USA illustrated in the first four tables in Chapter one, shows how the gendered pay gap persist for women in the highest and lowest earning occupations in America. These tables emphasize that not only does the gendered pay gap exist across occupations and occupational sectors, but also that women tend to be concentrated in occupations that pay less (with a few exceptions, i.e. pharmacists). According to Watt and Eccles (2008), women do not share the salary and status advantages associated and attached with STEM careers. We would take this assertion further and suggest women do not share the salary or status advantages in nearly all occupational categories, as evidenced in chapter one’s focus on the teaching profession. Although a traditionally feminine occupation previous research and recent data suggests that women become less visible, within the sector the further up the educational system they climb. Chapter 1, focused on primarily education through to secondary education. We indicated how for women in both the UK and USA, not only does the gender pay gap persist, in this female dominated sector, but also that women are disproportionally represented in terms of educational management (headship), no matter the educational level. This underrepresentation and disproportionate representation is also evident for women in academia. It appears that women in the academic sector are disadvantaged in career opportunities compared to men. The international literature, including US, Australia and the UK supports this notion. Halvorsen (2002), in an analysis of UK Higher Education Statistics Agency (HESA) statistics found that men are promoted more quickly than women, at all stages of the hierarchy. This occurs at whatever stage in their careers men and women entered their current institution. Halvorsen (2002) states that men are being fast-tracked through the system and that: ‘being considered’ is a given for a larger proportion of men than women. There is a paucity of women at professorial level, National Association of Teachers in Higher and Further Education (NATHFE) figures 2002 show that only 4% of female academics progress to the level of professor, compared to 14 per cent of males (Doherty and Manfredi 2006).